In your assault phase, this unit can make an extra attack at 8/7/5. 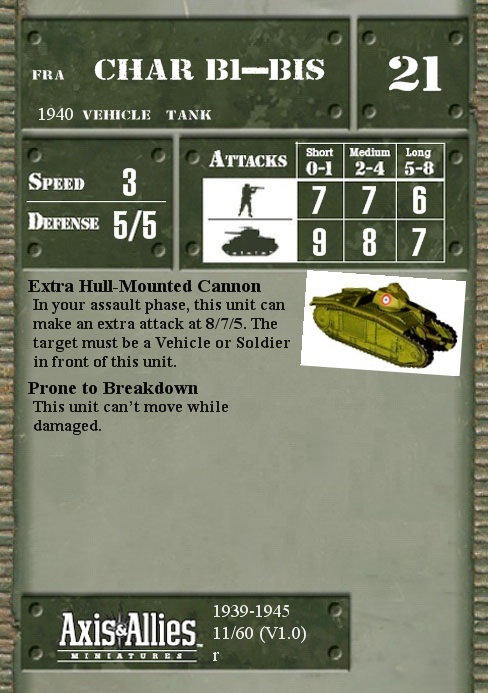 The target must be a Vehicle or Soldier in front of this unit. This unit can’t move while damaged. Q: My opponent is the "first player." During his assault phase, he scores two hits against my Crusader, which gets a face-down Disrupted counter and a face-down Damaged counter. Can I then move my Crusader during my assault phase? A: Yes. Although your Crusader has a face-down Damaged counter, it only becomes "damaged" during the casualty phase when face-down hit counters are flipped over.